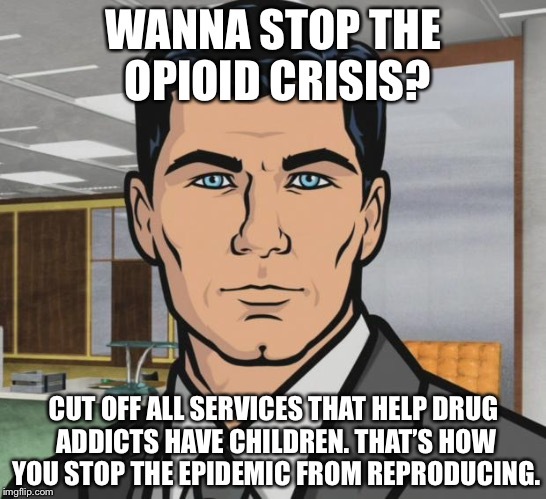 WANNA STOP THE OPIOID CRISIS? CUT OFF ALL SERVICES THAT HELP DRUG ADDICTS HAVE CHILDREN. THAT’S HOW YOU STOP THE EPIDEMIC FROM REPRODUCING.